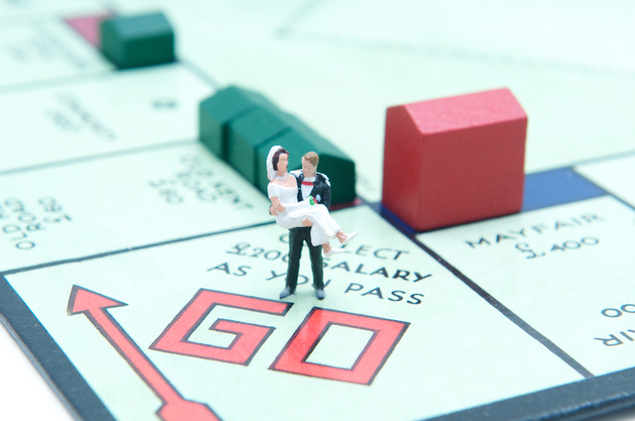 Advice for married couples seeking to repay debt and maintain tax benefits. I will begin to pay back my student loans in January. My loan debt is about $134,000 and I'm going to pay it back via income-based repayment (IBR). My husband also has student loan debt and is currently in repayment but not through IBR. I understand that if we continue to file our tax returns under Married Filing Jointly status my monthly loan payment will be higher than if we file separately. I also understand the tax implications of not filing jointly. Although married couples are no longer allowed to consolidate their student loans together, does the higher monthly payment as a result of Married Filing Jointly status assume that one payment is being made and then disbursed to each loan account? I'm confused as to why my payment would be almost double in Married Filing Jointly status if my husband's student loan debt is also being taken into account. — Dawn R. There is a marriage penalty inherent in income-based repayment. Married borrowers have a choice. If they choose to file federal income tax returns as married filing separately, they can have only their individual income counted for income-based repayment. But then they will lose some of the tax benefits available to borrowers who file joint returns, including the student loan interest deduction. If they choose to file federal income tax returns as married filing jointly, the combined income is counted for income-based repayment, yielding a higher monthly loan payment. Married borrowers must consider the financial impact of each approach before deciding whether to file separate or joint federal income tax returns. If married borrowers file federal income tax returns as married filing jointly and both have elected to repay their loans under the income-based repayment plan, the monthly loan payment is split between the spouses' eligible loans in proportion to each spouse's share of the total eligible loan debt. This is based on the regulations at 34 CFR 682.215 for the federally-guaranteed student loan program (FFELP) and the regulations at 34 CFR 685.211 for the Direct Loan program. 34 CFR 682.215(a)(1) and 34 CFR 685.221(a)(1) specify that AGI includes both the borrower's and spouse's income for married borrowers who file joint federal income tax returns. 34 CFR 682.215(a)(3) and 34 CFR 685.221(a)(3) specify that family size is the same regardless of whether a married borrower files joint or separate federal income tax returns. Family size is used to calculate the poverty line, which in turn is used to calculate discretionary income. Income-based repayment bases the monthly loan payment on a percentage of discretionary income. 34 CFR 682.215(a)(4)(i) and 34 CFR 685.221(a)(4)(i) specify that the monthly payment under income-based repayment is based on only the borrower's income for a married borrower who files an individual federal income tax return (e.g., married filing separately). 34 CFR 682.215(a)(4)(ii) and 34 CFR 685.221(a)(4)(ii) specify that the monthly payment under income-based repayment is based on the combined income of borrower and spouse for a married borrower who files a joint federal income tax return (e.g., married filing jointly). In addition, these regulations indicate that the monthly payment under income-based repayment is a combined payment for both the borrower's and spouse's eligible loans: "amount due on all of the borrower's eligible loans and, if applicable, the spouse's eligible loans". 34 CFR 682.215(b)(2)(ii) and 34 CFR 685.221(b)(2)(ii) specify that the monthly loan payment under income-based repayment for married borrowers who file joint federal income tax returns is split in proportion to "each borrower's percentage of the couple's total eligible loan debt".